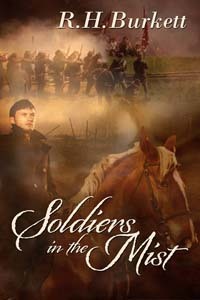 In 2011 my first novel, Soldiers From the Mist was published. While the thrill of being a published writer far exceeded my dreams, I was never comfortable about the story. I rushed the ending. I didn’t stay true to the voices in my head. For those of you who haven’t read the story, Soldiers was channeled information I received from the ghost of the main character, Charles Ely, who haunted my house. Charlie and his comrades couldn’t cross over, rest in peace, until I gave their story and message of Universal Love to the masses. I wrote Charlie’s words and stayed true to his direction right up until the end. Then, I goofed-up. I changed the ending. I did so because I was new to writing game. Even though, deep in my gut, I knew it was wrong, I ignored higher direction because I thought I knew better. I’d pitched the book to a New York agent before it was finished. (A big no-no in fiction writing.) The agent wanted the first three chapters. Panic hit. What if he wanted the complete manuscript? It wasn’t done. I had to finish it, fast. On the advise of many published writers who said I couldn’t end the book the way it should’ve been because readers would hate it, I went against Charlie and wrote my own, human ending. I copped out. Wrote a happy-ever after conclusion. While Charlie was happy his story had been told, he was not thrilled with me. I’ve written three books since Soldiers. 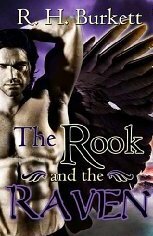 Two are published: The Rook and the Raven and Daughter of the Howling Moon. 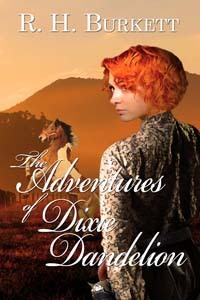 My fourth book, The Legend of Dixie Dandelion will be finished this year. The main thing I’ve learned from beginning writer to more accomplished writer is to stay true to yourself. By all means, listen to established writers, your peers, and critique group. But never comprise for the sake of finishing the book; to get it in print. If it takes years for this to manifest, then take the years. What ever the release date, a book is born at the correct time. Never turn your back on intuition. Stay true. So. What happens when a ghost isn’t happy? It comes back to haunt you, of course! I rewrote the ending. The true ending. On April 29, 2016 the true Soldiers In the Mist will be released from The Wild Rose Press. Much of the story is the same, but not the ending. Is the ending bad? Is it sad? Will the reader hate it? You be the judge. Let me know. I will say, however, Charlie is very happy and that’s all that matters to this author. You are never too old to live and learn. This entry was posted in books, ghosts, paranormal and tagged ghosts, R.H.Burkett, Soldiers In the Mist, writing. Bookmark the permalink. I liked you before and my admiration of you has only increased. Thank you for your courage and honesty. It’s inspiring. Thank you Judy. The feeling is mutual. That’s the key, Jan . . . IF we listen.